The Apple Macintosh revolutionized the entire computer industry by the year of 1984. Steve Jobs and his ingenious Macintosh team arranged for the computer to be used by the normal “person in the street” – and not only by experts. “Insanely great” – Steve Jobs could hardly put into words his enthusiasm by the launch of the Macintosh. On the legendary annual general meeting of January 24th, 1984, in the Flint Center not far from the Apple Campus in Cupertino, the Apple co-founder initially quoted Bob Dylan’s “The Times They Are A-Changin’” in order to then polemicize against an imminent predominance of the young computer industry by IBM. The early 1980s. 1981 – Apple II has become the world’s most popular computer, and Apple has grown to a 300 million dollar corporation, becoming the fastest growing company in American business history. With over fifty companies vying for a share, IBM enters the personal computer market in November of 1981, with the IBM PC. 1983. Apple and IBM emerge as the industry’s strongest competitors, with each selling approximately one billion dollars worth of personal computers in 1983. The shakeout is in full swing. The first major personal computer firm goes bankrupt, with others teetering on the brink. Total industry losses for 1983 overshadow even the combined profits of Apple and IBM. It is now 1984. It appears that IBM wants it all. Apple is perceived to be the only hope to offer IBM a run for its money. Dealers, after initially welcoming IBM with open arms, now fear an IBM dominated and controlled future and are turning back to Apple as the only force who can ensure their future freedom. IBM wants it all, and is aiming its guns at its last obstacle to industry control, Apple. Will Big Blue dominate the entire computer industry? The entire information age? Was George Orwell right? Taking a look at the history of the personal computer today, Steve Jobs was on the right track with his historical comparison. However, it would not be IBM that became the great dominator of the computer industry over the years, but rather, the alliance of Microsoft and Intel. Previous to the Macintosh developer team, others had already tried to design a computer with a mouse and a graphical user interface – one year before Apple did, with its own business computer Lisa, which retailed for 10,000 dollars. However, the Lisa computer proved to be a huge flop. With a price of 10,000 dollars (exclusive of a hard disk drive), it was far too expensive; the graphical user interface devoured the Lisa’s power so that the computer did not work particularly briskly. 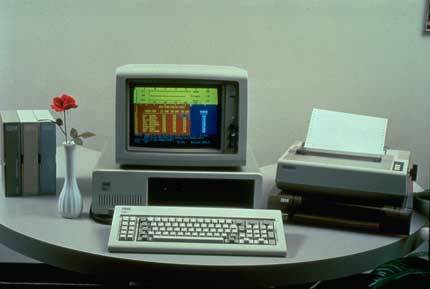 It lacked the necessary programs to induce the business world to buy the Lisa in large numbers. Moreover, the newly established distribution team could hardly resort to any experience in the handling of Corporate America. The Macintosh is the best hardware value in the history (short though it may be) of the personal computer industry. It is a machine which will appeal to the masses of people who have neither the time nor the inclination to embark upon the long learning process required to master the intricacies of the present generation of personal computers. Barring unforeseen technical glitches and assuming that a reasonable software library is in place by the end of the year, the Macintosh should establish itself as the next standard in personal computers. 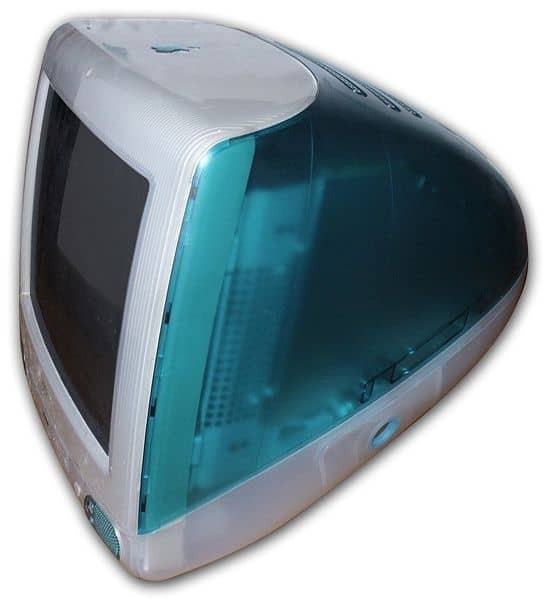 Given the innovative Macintosh, Apple believed it had discovered a way to reclaim the leadership of the then still young market for personal computers from computer giant IBM. In 1981, IBM had introduced its first PC and seized the Apple II’s position of the most successful personal computer within a few months. Within three years, “Big Blue” had sold more than two million IBM PCs. Therefore, Apple’s 15 million dollar advertising campaign on the occasion of the launch of the Macintosh directly aimed at IBM. The enormous sales campaign had eventually also been responsible for Apple raising the Mac’s originally planned launch price by 500 dollars to 2,495 dollars. The Lisa’s failure put Apple into a precarious situation in 1983. The hitherto existing cash cow, the Apple II, had been eclipsed by newer technology and found itself exposed to intense competition. Now the Macintosh was to save Apple Computers from ruin. In its first business plan of summer 1981, Apple had assumed that 2.2 million Macs could be sold between 1982 and 1985; that is about 47,000 units per month. However, the Mac was not brought to market until the beginning of 1984. After the community of the computer nerds (at least those who could afford the first Mac) had satisfied its buying frenzy, the sales of the Macintosh dropped dramatically to about 5,000 units per month. Despite diverse management methods, Jobs and Sculley initially collaborated harmonically and were celebrated by the public as Apple’s “Dynamic Duo.” However, the Mac’s depressed distribution soon caused serious tensions to arise between Jobs and Sculley. At that time, the Mac simply lacked the applications that dragged the Charlie Chaplin figure across the screen box by box in the IBM’s advertising spot for the PC. Therefore, Guy Kawasaki and other “Software Evangelists” of Apple made an effort to convince the developers of other software companies to write programs for the Mac. The Mac’s ROM, which had been calculated far too tight at 128 kilobytes, did not make this a simple task. The narrow bottleneck was not removed until the launch of the “Fat Mac” with 512 kilobytes, one year after the first Macintosh. In 1987, Apple sold one million Macs and suddenly played in the IBM league again. More than half of the 2,000 dollars for a Mac constituted profit for Apple, so that Sculley and his colleagues in the Apple management believed that the users would always be willing to pay much more for a better technology. Within these years, Apple missed the gigantic opportunity of establishing the Mac as the general industry standard. At that time, either the prices should have been cut dramatically, or a broad licensing program should have been agreed with other hardware producers. With the introduction of Windows 3.0 in 1990, this “window of opportunity” finally shut. 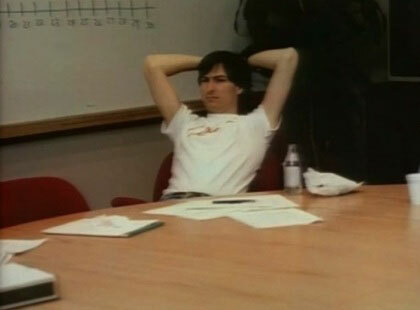 When Steve Jobs returned to his former company in hard times by the beginning of 1997, first as a counselor and then as a principal, the competition for the industry standard between Apple Computers and Microsoft had long been settled. With new Apple talents such as Jonathan Ive, he not only succeeded in bringing the company back on the course of success, but also in making a mark in the industry. Do you know any of the history behind the Macintosh team one computers? My great-uncle had one that was passed down to a cousin that has this caption on a plaque on the back of the machine with his name on it. I would love to find the origin. Back in the day, we were looking for state-of-the-art microprocessor that was user friendly & futuristic forward-thinking computers for the personal user (as opposed to “business” machines. We purchased the MacIntosh SE (system expandable) that was revolutionary and priced competitively. Glad that we backed the right company and propelled Steve Jobs as one of the greatest icons of the computer/Information Age. Big Blue needed the “nudge” to compete.